My review for Love is Strange resides over at The Essential. 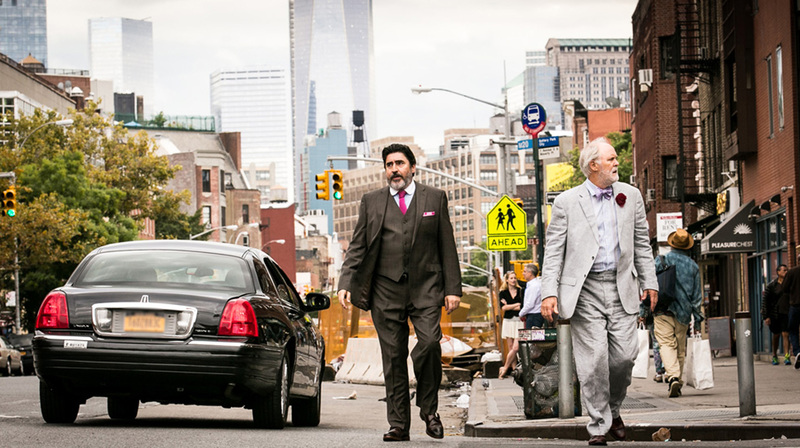 A scene toward the end of Love is Strange sees protagonists Ben (John Lithgow) and George (Alfred Molina) out on a much-needed date, and makes the bold statement regarding the aesthetic trajectory of writer/director Ira Sachs. The two married men have just attended a concert, a music recital for one of George’s students. Ben wants to wax lyrical about the beauty of the performance, but George comments that so much embellishment is unnecessary when the material is already so beautiful. It’s hardly a head-bludgeoning moment, but it does clarify for us what Sachs is on about with Love is Strange. Sachs, who is Jewish and openly gay, isn’t just making a gay version of Tokyo Story meets Make Way for Tomorrow. The love he wants to depict – beyond the passion these two men have for each other – includes the relatives and friends struggling with the juxtaposition love plays in all our lives. Love demands high levels of commitment and few can live up to the calling. And yet love contains within itself a delicate beauty that needs no embellishment and is never enhanced by the clumsy nature of our attempts to embody or wield it as a transformative experience.